Shaftec runs through the procedure for power steering control module replacement and reprogramming, steering angle sensor centering, and software endstop learning. The GM MDI Tech 3 diagnostic software is required to install this unit. Failure to use the software may void your warranty. During the procedures listed below, critical data is retrieved from vehicle components and stored in the scan tool computer’s hard drive. This data is needed during the programming and setup sequences. Connect a scan tool to the vehicle and access the Service Programming System, also known as SPS. Perform the SPS function Electronic Power Steering > Prepare Control Module for Removal and follow the on-screen instructions. Step 2 copies the worm gear wear counter data from the power steering control module prior to the module’s removal and stores it on the scan tool computer’s hard drive. After completing step 2, the power steering control module can be removed and replaced. Replace the Power Steering Assist Motor containing the Power Steering Control Module. The next two steps will transfer the Vehicle’s critical data, including the worm gear wear counter data saved in step 2, back to the vehicle components. With the Power Steering Assist Motor replaced and reconnected, perform the SPS function Electronic Power Steering > Programming and follow the on-screen instructions. Perform the SPS function Electronic Power Steering > Setup and follow the on-screen instructions. 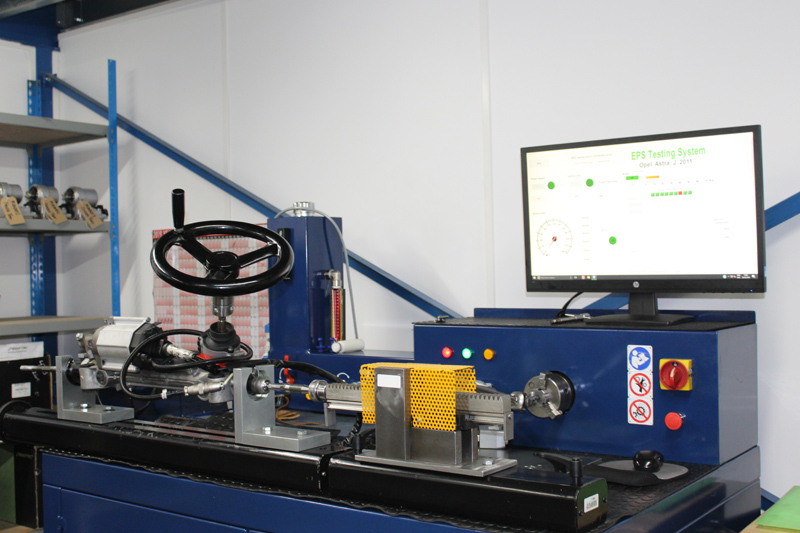 Perform the Steering Angle Sensor Centering and Software Endstop Learning procedure. Refer to page 2 for the Steering Angle Sensor Centering and Software Endstop Learning procedure. Clear Diagnostic Trouble Codes after completing the programming and setup procedures. This procedure applies to the reprogramming of the existing steering gear or the initial programming if the complete steering gear assembly, including the assist motor, was replaced. If only the power steering control module is replaced, follow the Power Steering Control Module Replacement instructions above. Conditions: Front axle measured and set, engine running, vehicle speed 0kph, internal steering angle sensor is activated. Conditions: Front axle measured and set, vehicle speed 0kph, internal steering angle sensor is calibrated, or external steering angle sensor sends a valid CAN signal.